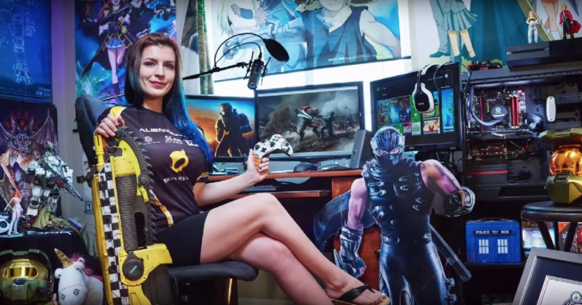 There are now roughly as many women video game players as men. The situation is such that gamers under the age 18, formerly regarded the default demographic for gaming, are now lesser in number than women gamers over the age of 18. This recent data above came from the Entertainment Software Association. However, the increasing number of skilled video game playing women has not stopped the constant scepticism about female gamer skills. This scepticism often leads to harassment so many women either play with false identities or stay away from playing completely. Female user reports from bingo sites that covered on luckytouchbingo.com and research into MMORPGS, have shown that women perform just as well as men in gaming. Men generally spend more time playing games than women on average but their gender has no impact on how quickly they progressed. Since video games have been shown to positively influence areas of cognitive function such as spatial learning and task persistence, female harassment can lead to pushing off many women from STEM fields, which are science, technology, engineering and mathematics. Women groups are therefore calling for more action against female gamer harassment to bridge the gap between men and women in the STEM fields. Many female gamers say they avoid using voice communication when playing amongst a group. Although using voice chat with teammates online has been proven to help improve chances of winning, there was a higher chance of being subjected to sexist remarks from male players. Some of the male gamers resort to looking up the characters played by suspected female players. Once they see characters that have been deemed female, they launch their sexist campaigns. Supporting characters or those that are deemed easy to play are some of those that have been labelled thus. To avoid having morale dissipate after gender is mentioned, some female gamers do not take part in MMORPGs except they are in the company of trusted friends who will be ready to stand up to a sexist bully. A recent study by Ratan and Co. demonstrated that male players who lash out at female gamers are those who perform worse than their peers. They use sexist attacks to maintain relevance in their gaming hierarchy. Better players and leading male players in a group almost never engage in such habits. The authors of the study sifted through huge amounts of data from Chevalier’s Romance III and Everquest 2. Both games are multiplayer online role-playing games which require players to sift through online worlds in a big to discover loot and glory. In the search, they took a look at how male and female players levelled up within the two games. Leveling is basically progressing in the game by killing monsters or completing quests. Levelling speed was not affected by gender but they noticed that women played more supportive characters that were healers instead of killing monsters hence given credence to the attitude mentioned above where sexist male players try to fish out female players by going through their characters.